As Director of Insurance Services, Nelson’s primary focus is working with financial advisors to develop strategies for clients that protect family assets, income, and lifestyle. Nelson specializes in providing independent reviews of a client’s existing coverage, working closely with advisors to analyze personal and employer-provided insurance coverage and subsequently make appropriate recommendations. Nelson joined Clarfeld in 2003. 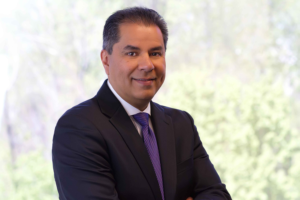 A Certified Public Accountant, he is a member of the New York State Society of CPAs and The National Association of Insurance and Financial Advisors. He is also Treasurer for The Hispanic Chamber of Commerce. He speaks Spanish fluently and moves with equal fluency, enjoying salsa dancing with his wife. They live in Rockland County, N.Y. with their three sons.